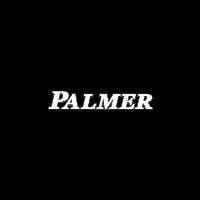 All of the latest Chrysler, Dodge, Jeep, and Ram vehicles can be found at Palmer CDJR. Not only do we have the cars you’re looking for, but we also have the friendliest and most helpful sales staff around. Stop by today and we’ll get you into the perfect car! The most populous city in Georgia, along with being the capital, is Atlanta. This city is both the economic and cultural center, and serves as the seat of Fulton County. A few nicknames include “The A”, “The ATL”. and “The city in a Forest”. Atlanta is home to one of the major air transportation hubs in the entire world, the Hartsfield-Jackson Atlanta International Airport. Actually, since 1998, this airport has been the world’s busiest airport. One major milestone in Atlanta’s history was the 1996 Summer Olympic Games. There were many sporting venues and parks that were built, along with a focus on transportation infrastructure. After these Olympics, the city was forever changed. If you’re looking for a way to spend a nice weekend, consider checking out the city of Atlanta! We serve everyone in the Atlanta area, and we’re here to get you in the car of your dreams. If you’re looking for a new vehicle to cruise around the city in, then you need to check out our online inventory. 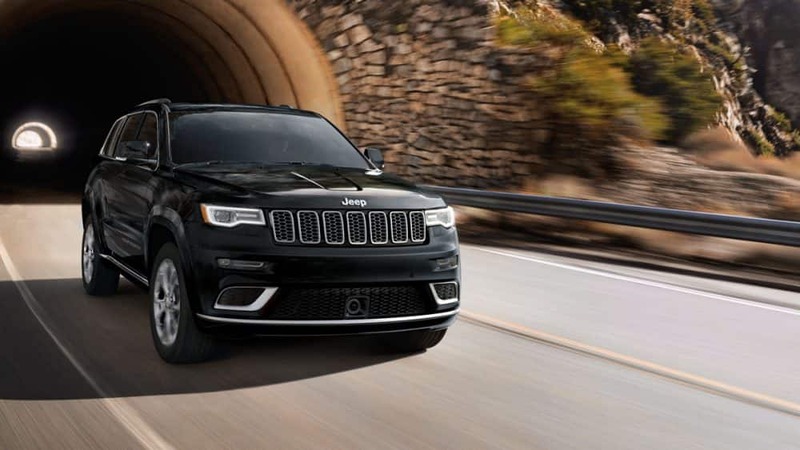 Our options range from the family-focused Chrysler Pacifica to the adventure-hungry Jeep Wrangler. If you’re working with a budget, we suggest checking out any of our used cars. We even have a few Certified Pre-Owned options, which means they’re practically good as new! Stop by our dealership today and test drive one. Everyone should be able to get the vehicle they need to make their lives easier. That’s why we recommend filling out our online loan application, which our staff will review, and get you the best deal available. Whether you need to schedule your next oil change, or if you’re looking for a specific Mopar part, our service staff are ready for it! So give us a challenge, and schedule an appointment with us today. BACK-UP CAMERA, BLUETOOTH, MP3 Player, KEYLESS ENTRY, 30 MPG Highway, SAT RADIO, TURBOCHARGED, ALLOY WHEELS. MSRP: $25120 SALE Price: $17620! The 2018 Jeep Renegade is styled for urban adventure. The Renegade has a bold and rugged exterior built to take you on any adventure you choose, from available fog laps to wraparound black roof. With 16-inch steel wheels, a windshield wiper de-icer, capless fuel filter and heated exterior mirrors, there’s nothing you can’t handle. Inside, you’ll find heated front seats for comfort and eight-way power adjustable driver seat. This SUV features a redesigned center console and a cargo net to help keep your valuables secure and close at hand. It also features an available height-adjustable rear cargo floor that can easily be moved up and down to make room for your items and rear seats are offered as either a 60/40 split-folding bench, or for added flexibility, a 40/20/40 split-folding bench with a cargo area pass-through. Steering wheel-mounted controls let you scroll through available navigation, traction management system, rear park assist, speedometer and other vehicle information. The Renegade can be equipped with either the standard 1.4L MultiAir Turbo engine or the 2.4L Tigershark MultiAir 2 engine, plus an available nine-speed automatic transmission. The capable Renegade can tow up to 2,000 pounds. This SUV is packed with cutting-edge technology, including an infotainment system, Apple CarPlay and Android Auto support, SiriusXM Guardian and navigation. It also offers a suite of safety features, including lane keep assist, forward collision warning, active braking, blind spot monitoring, a rear backup camera, keyless entry and more. BACK-UP CAMERA, BLUETOOTH, REMOTE START, MP3 Player, KEYLESS ENTRY, 30 MPG Highway, SAT RADIO, TURBOCHARGED, ALLOY WHEELS. MSRP: $25515 SALE Price: $18015! The 2018 Jeep Renegade is styled for urban adventure. The Renegade has a bold and rugged exterior built to take you on any adventure you choose, from available fog laps to wraparound black roof. With 16-inch steel wheels, a windshield wiper de-icer, capless fuel filter and heated exterior mirrors, there’s nothing you can’t handle. Inside, you’ll find heated front seats for comfort and eight-way power adjustable driver seat. This SUV features a redesigned center console and a cargo net to help keep your valuables secure and close at hand. It also features an available height-adjustable rear cargo floor that can easily be moved up and down to make room for your items and rear seats are offered as either a 60/40 split-folding bench, or for added flexibility, a 40/20/40 split-folding bench with a cargo area pass-through. Steering wheel-mounted controls let you scroll through available navigation, traction management system, rear park assist, speedometer and other vehicle information. The Renegade can be equipped with either the standard 1.4L MultiAir Turbo engine or the 2.4L Tigershark MultiAir 2 engine, plus an available nine-speed automatic transmission. The capable Renegade can tow up to 2,000 pounds. This SUV is packed with cutting-edge technology, including an infotainment system, Apple CarPlay and Android Auto support, SiriusXM Guardian and navigation. It also offers a suite of safety features, including lane keep assist, forward collision warning, active braking, blind spot monitoring, a rear backup camera, keyless entry and more. BACK-UP CAMERA, BLUETOOTH, MP3 Player, KEYLESS ENTRY, 31 MPG Highway, SAT RADIO, ALLOY WHEELS. MSRP: $26950 SALE Price: $19950! BACK-UP CAMERA, BLUETOOTH, MP3 Player, KEYLESS ENTRY, 31 MPG Highway, ALLOY WHEELS. MSRP: $25185 SALE Price: $20185! BACK-UP CAMERA, NAVIGATION, BLUETOOTH, REMOTE START, MP3 Player, BLIND SPOT MONITORING, KEYLESS ENTRY, 30 MPG Highway, SAT RADIO, TURBOCHARGED, TONNEAU COVER, ALLOY WHEELS. MSRP: $28200 SALE Price: $20700! The 2018 Jeep Renegade is styled for urban adventure. The Renegade has a bold and rugged exterior built to take you on any adventure you choose, from available fog laps to wraparound black roof. With 16-inch steel wheels, a windshield wiper de-icer, capless fuel filter and heated exterior mirrors, there’s nothing you can’t handle. Inside, you’ll find heated front seats for comfort and eight-way power adjustable driver seat. This SUV features a redesigned center console and a cargo net to help keep your valuables secure and close at hand. It also features an available height-adjustable rear cargo floor that can easily be moved up and down to make room for your items and rear seats are offered as either a 60/40 split-folding bench, or for added flexibility, a 40/20/40 split-folding bench with a cargo area pass-through. Steering wheel-mounted controls let you scroll through available navigation, traction management system, rear park assist, speedometer and other vehicle information. The Renegade can be equipped with either the standard 1.4L MultiAir Turbo engine or the 2.4L Tigershark MultiAir 2 engine, plus an available nine-speed automatic transmission. The capable Renegade can tow up to 2,000 pounds. This SUV is packed with cutting-edge technology, including an infotainment system, Apple CarPlay and Android Auto support, SiriusXM Guardian and navigation. It also offers a suite of safety features, including lane keep assist, forward collision warning, active braking, blind spot monitoring, a rear backup camera, keyless entry and more. BACK-UP CAMERA, HEATED FRONT SEATS, HEATED STEERING WHEEL, BLUETOOTH, REMOTE START, MP3 Player, KEYLESS ENTRY, 31 MPG Highway, SAT RADIO, COLD WEATHER PACKAGE, ALLOY WHEELS. MSRP: $27710 SALE Price: $20710! BACK-UP CAMERA, HEATED FRONT SEATS, HEATED STEERING WHEEL, BLUETOOTH, REMOTE START, MP3 Player, KEYLESS ENTRY, 31 MPG Highway, COLD WEATHER PACKAGE, ALLOY WHEELS. MSRP: $27880 SALE Price: $20880! BACK-UP CAMERA, NAVIGATION, BLUETOOTH, SUNROOF, REMOTE START, MP3 Player, KEYLESS ENTRY, 30 MPG Highway, SAT RADIO, TURBOCHARGED, ALLOY WHEELS. MSRP: $28605 SALE Price: $21005! The 2018 Jeep Renegade is styled for urban adventure. The Renegade has a bold and rugged exterior built to take you on any adventure you choose, from available fog laps to wraparound black roof. With 16-inch steel wheels, a windshield wiper de-icer, capless fuel filter and heated exterior mirrors, there’s nothing you can’t handle. Inside, you’ll find heated front seats for comfort and eight-way power adjustable driver seat. This SUV features a redesigned center console and a cargo net to help keep your valuables secure and close at hand. It also features an available height-adjustable rear cargo floor that can easily be moved up and down to make room for your items and rear seats are offered as either a 60/40 split-folding bench, or for added flexibility, a 40/20/40 split-folding bench with a cargo area pass-through. Steering wheel-mounted controls let you scroll through available navigation, traction management system, rear park assist, speedometer and other vehicle information. The Renegade can be equipped with either the standard 1.4L MultiAir Turbo engine or the 2.4L Tigershark MultiAir 2 engine, plus an available nine-speed automatic transmission. The capable Renegade can tow up to 2,000 pounds. This SUV is packed with cutting-edge technology, including an infotainment system, Apple CarPlay and Android Auto support, SiriusXM Guardian and navigation. It also offers a suite of safety features, including lane keep assist, forward collision warning, active braking, blind spot monitoring, a rear backup camera, keyless entry and more.